Thirteen children call me “Mom” so your confusion is understandable when I tell you that, from the age of 15, I didn’t think I could have children. Short story… Seven infertility surgeries and LOTS of medication later I did have a child. It was enough of an experience that I knew if things didn’t happen on their own, I’d just adopt. 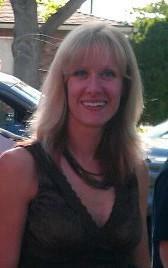 I grew up surrounded by dysfunction, so adopting children within social services touched an empathetic chord within me. For nine years I was licensed as a foster parent and feel blessed my life was touched by the children that came through my home. Seven pregnancies and a hysterectomy later I felt contentedly done with that chapter in my life. In the end, the children I am Mommy to consist of 6 biological, 5 adopted, one foster that, lucky for me never left but couldn’t be adopted and one foreign exchange student from Germany who has never stopped being my daughter. Many things have kept me in physical (and mental) shape. Staying active during and in between pregnancies allowed me to keep up, keep sane and never get discouraged. One thing that was always a part of my life to some extent or another was running. Inexpensive, portable and done in nearly any weather running not only keeps me in good physical shape, it gives me a chance for my head to clear. It’s time to think, problem solve and plan but mostly it’s time for me. When I was contacted to do this post, I was in the midst of fundraising for Relay For Life. The hair shop I worked at raised over $600 to donate to Relay. It may not seem like a lot, but every dollar counts. Anyone who’s suffered from cancer or has watched a loved one can agree with that. Steve Good – choreographer of this running adventure told me that was a cause worth celebrating. 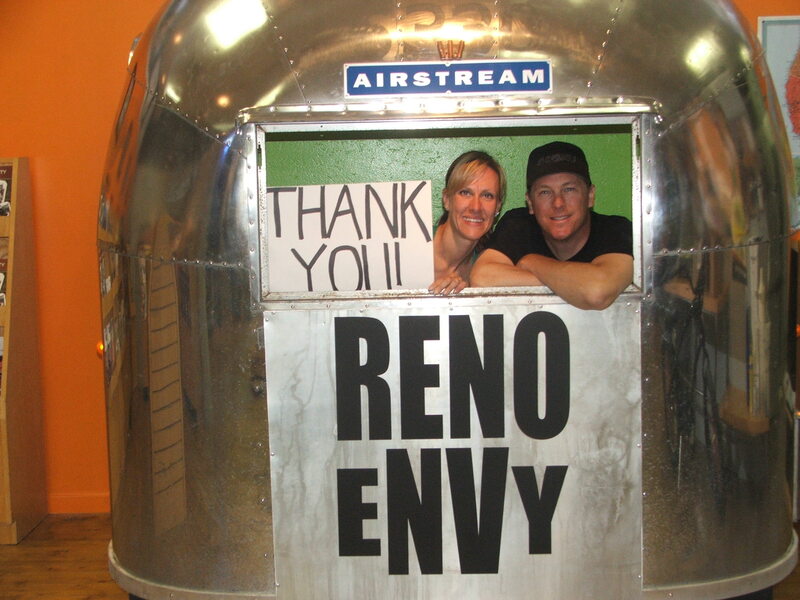 I’m highlighting ten different locations, most of which are small, privately owned and operated here in Reno. I know the people personally in almost all cases and feel strongly in supporting smaller businesses. My 20 year old daughter, Brianna crewed me for this running adventure and we had such a great time. I appreciate her willingness to lend a hand, take pictures and have fun with me even when parking downtown. First stop: University of Nevada Reno. GO WOLF PACK!!! There is such an enormous amount of energy surrounding anything UNR. Fantastic support from our city, fun events, sports, fundraisers (where I did Relay For Life). I’ve spent quite a bit of time doing things UNR related and I appreciate having a university in our midst. 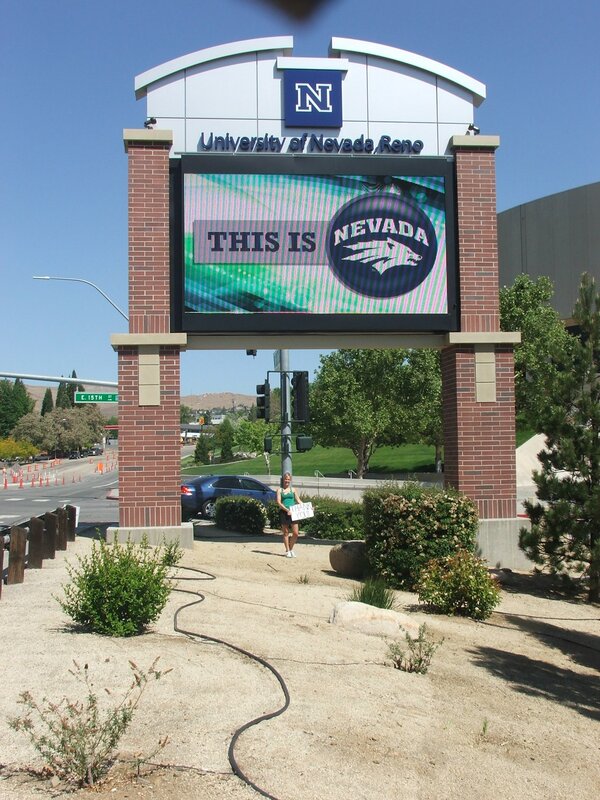 University of Nevada Reno! GO WOLF PACK!! If you squint you can see me under there!! Fuel Screen Printing. Dustin (one of the owners) posing for a shot with me! You know when you meet someone amazing – a capacity to help others, to work unselfishly, someone who’s always there, supportive, just all around great person that you appreciate knowing and spending time with?? That’s who John is. He’ll remember your name, what’s going on in your life and always asks how your day is going. On top of that, he owns and operates a tiny, hole-in-the-wall deli that you’d never know was there. Once you do, though, you’ll always go back. John makes everything from scratch and adds those little touches that tell you he cares. Whether it’s his meatballs or chicken and dumplings, his patty melt or breakfast sandwiches I can guarantee it will be good. Mostly because John made it! 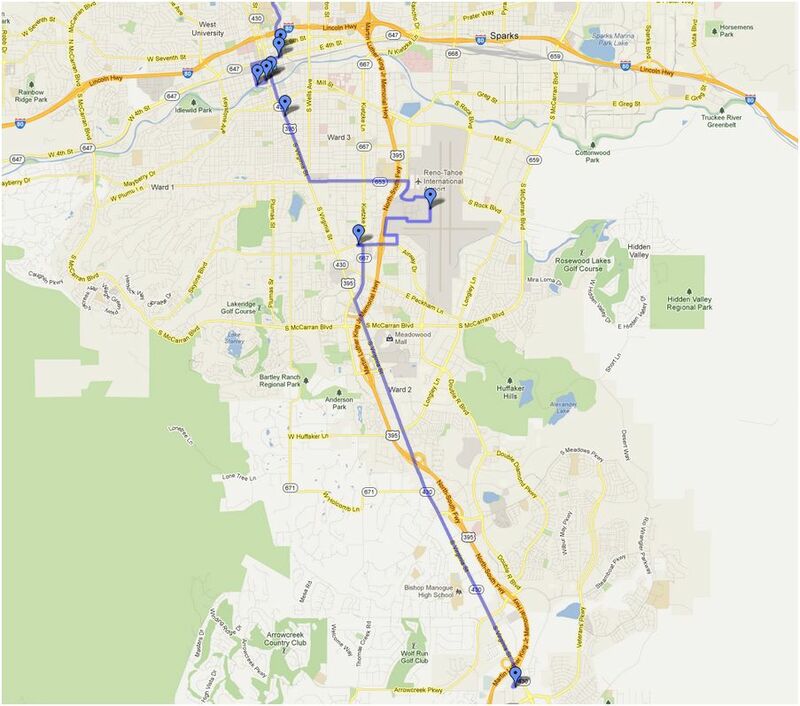 Approximately 12 miles from end to end, the Truckee River Bike Path is consistently busy. The well maintained, beautiful, tree lined 4 foot wide path winds through town following the river. I run on sections of this pretty much every week through every season. It’s a nice way to run in a safe environment that feels as though you’re not running in a city. Reno bike path downtown bridge. Yes, I’m precariously standing on the bridge fencing…. The arch lets you know you’re in the heart of downtown where all the action is. 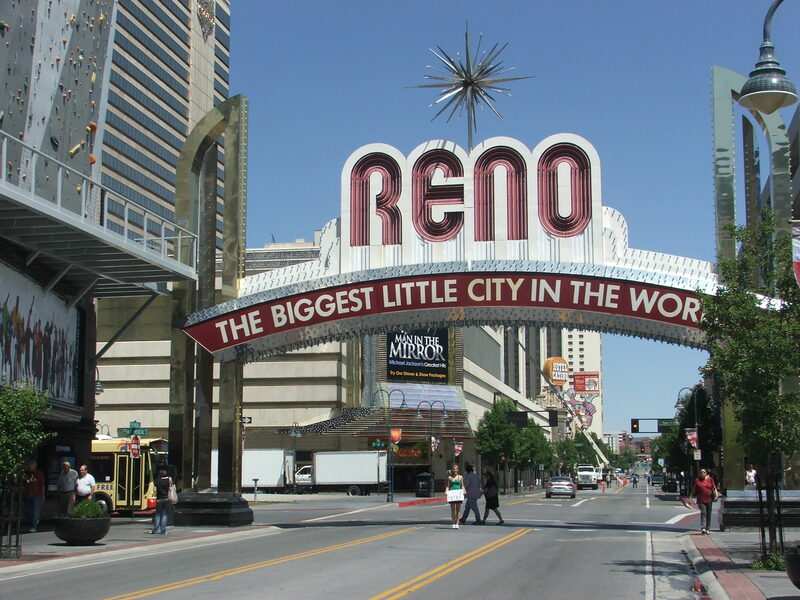 It’s a famous landmark here in Reno. It is the start and finish of the Reno Rock N River Marathon, Half Marathon and 10K that I ran in May. (I did the half and PR’d with a time of 1:47!) And yes, a bus almost hit me getting this shot but for the blog it was worth it…. A few years ago a young couple opened up this restaurant. 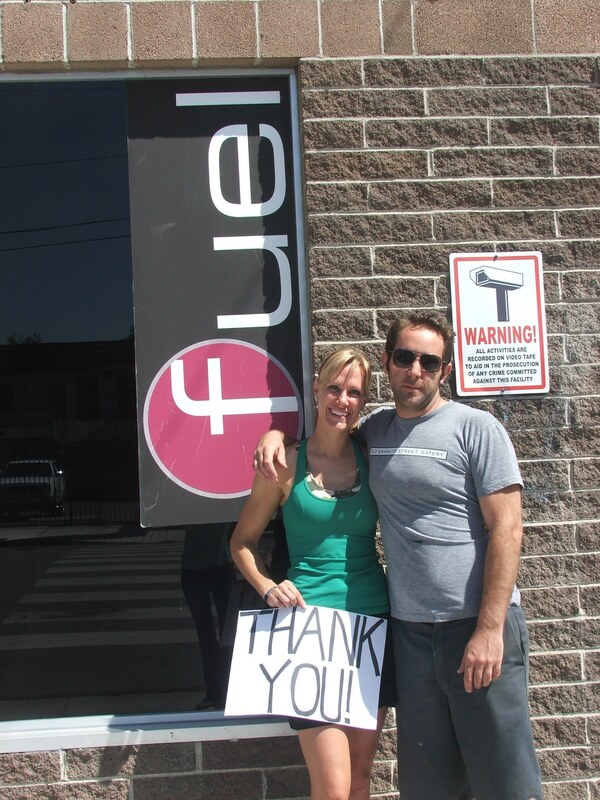 They wanted as much organic, homemade and healthy menu items as they could pack in. They partnered with other local companies to supply bread and veggies as well as created their own enormous garden at their home to supply the restaurant with fresh produce. They were such an enormous hit, shortly after opening, they moved a block north to occupy a larger building. It’s always packed here but the food is beyond amazing and the staff is always on the ball so the wait is never long and always worthwhile. This is my favorite lunch spot for friends, my older daughter or my husband. It’s just SUP-erb!! This restaurant never disappoints!! It’s a staple for lunch dates. In my younger years, I was fortunate enough to spend 4 years as a military dependent so I can relate to the struggles and blessings of military life. 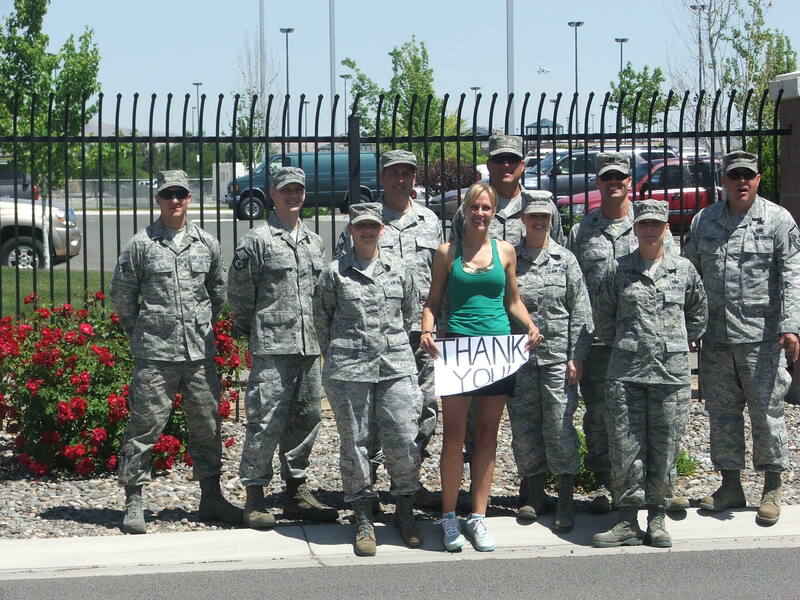 I honestly have no adequate words to thank the men and women of all the armed forces for their dedication. Their hard work allows me to live a lifestyle where I can put on my shorts and sports bra and run through the streets of the city. They defend my rights and freedoms that I unquestionably take for granted. A close friend of mine is stationed here and gathered his troops for this photo opportunity. My gratitude is boundless. 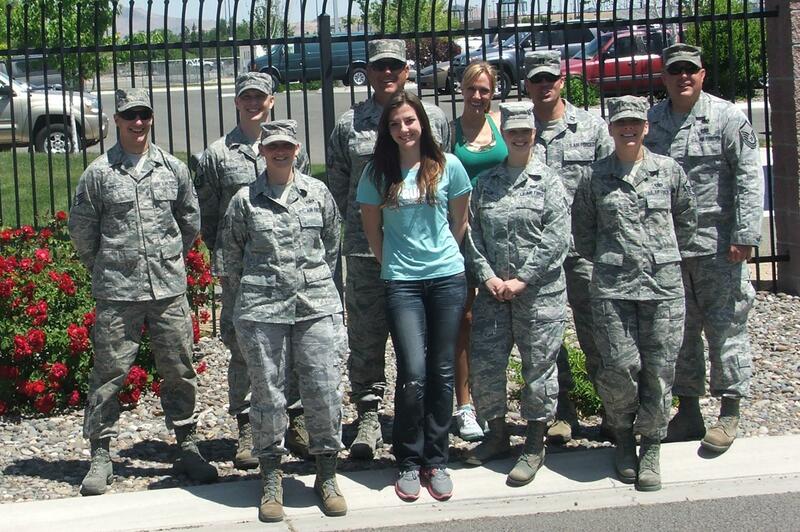 For most of my life I have had the privilege of knowing men and women in the military. These guys ROCK!! How can we possibly thank them enough? Kevin is a good friend of mine who, not so long ago, confided in me his dream to have his own bar. A bartender for years, his dream was finally realized this year when he and two of his friends jumped on an opportunity. I continue to tell him how courageous he is to have followed his dream – a dream that is now realized and doing well. Cozy, homey atmosphere with some raging karaoke as well as bottle throwing bartenders to entertain you. It’s reminiscent of Cheers where you just feel relaxed while enjoying the company of friends. Kevin is a man I admire. He and two buddies followed through on a lifetime dream….I’ll be bar-tending with Kevin soon…. Favorite. Store. Ever. My daughter Bri works here now but prior to that I knew a few of the other amazing employees. There isn’t a question this staff can’t answer for you! Newly opened by a stunning, energetic young couple – Matt and Amy – the store has everything to satisfy your inner runner. Many packet pick ups are held here, the store offers Thursday evening trail runs as well as Sunday morning runs through Reno. All ages and abilities are welcome and upon returning from the runs they always provide drinks and snacks. They’ve done free classes to the public on yoga for running and regularly have guest speakers. Nirvana…. 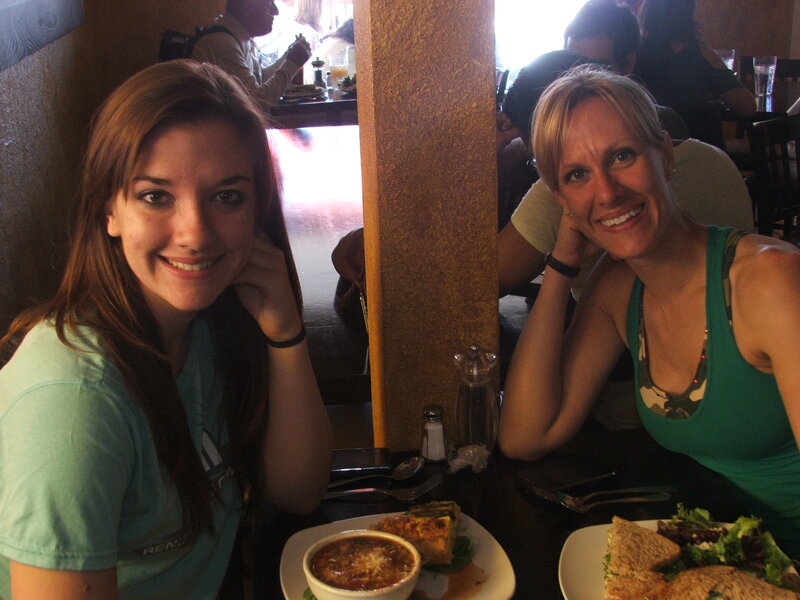 Brianna and I were starving from our big adventure today so we headed back to SUP for lunch. 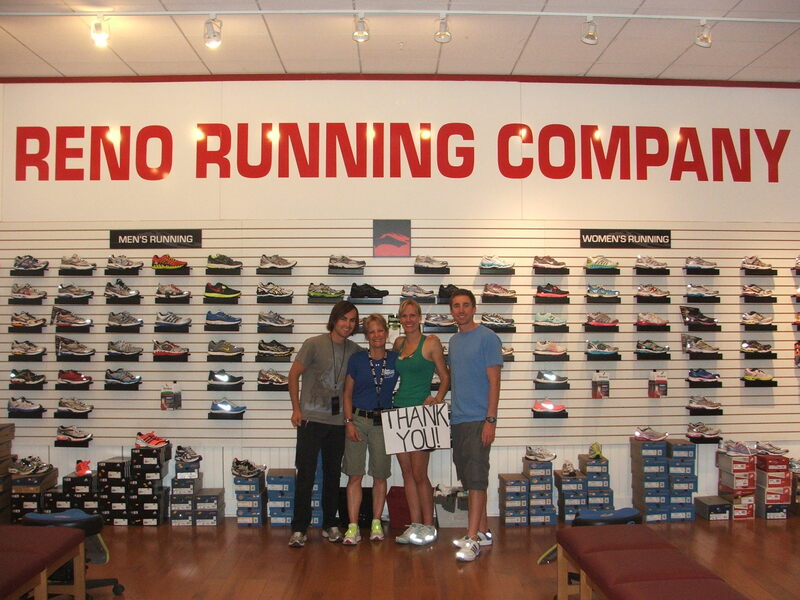 Then Bri had her shift to work at Reno Running Company. Good thing she fueled up first!! Thank you, Brianna for being the best at crewing me for all my running adventures!! Thank you, thank you, thank you for being my daughter and offering such amazing support! !